Pioneers in the industry, we offer lpg & cng diaphragms for gas industry from India. We are the leading manufacturer, supplier and exporter of LPG & CNG Diaphragms for Gas Industry. 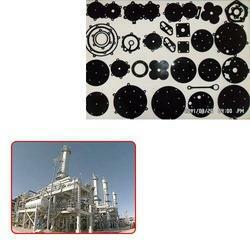 Our diaphragms are highly efficient in withstanding high amount of pressure. Looking for LPG & CNG Diaphragms for Gas Industry ?